Utopian needs your help. Now or neversteemCreated with Sketch. I have been thinking for a while to write this announcement, as asking for help isn't really my best skill. I remember these words from my professor, when I was studying in theatre : "It is important to understand that asking for help isn't bad, just learn how". It is time to use that lesson. I have founded Utopian in 2017, on this blockchain, empowering people with great project ideas to turn them into reality, independently from how wealthy they are, the resources and skills they have. A dream that I have been building in my mind for years. By leveraging the power of Open Source and combining the best functionalities of crowdfunding and crowdsourcing platforms, Utopian creates new opportunities, for everyone. Utopian (also called Utopian Colony) is a collaborative platform that fills the gap between innovators and supporters. Utopian Colony enables project owners to receive the financial support they need, while they are busy building. Support goes for specific tasks, functionalities and enhancements projects need to get done. Professionals can support the growth of the projects they are passionate about with their skills and get rewarded for doing just that. Supporters can back functionalities and enhancements they deem useful and beneficial to them, and access them immediately, as all the work in Utopian is done in the true open source spirit. But that's not all, as the best projects grow and thrive, Utopian can bring them to the attention of potential investors looking to invest in new inspiring technologies. Open source software is fundamental for the technological advancement of our society. However, the hard work of open source contributors has been, so far, mostly unrewarded. Utopian wants to accelerate the growth of open source technologies by empowering a greater variety of professionals to contribute. By creating the opportunity to raise funds in a more efficient and transparent way, Utopian aims to convince as many innovators as possible to open source their projects and build solutions that benefit everyone. To honour our mission, we made Utopian Colony fully open source. Check our progress on Github. Utopian is the first platform in the blockchain space creating this new fundraising opportunity. Despite that, Utopian hasn't achieved the same exposure similar platforms have achieved. Everything we did was only thanks to our own efforts and what Steem could offer. We didn't run an ICO, an IEO, we haven't got millions in funds or anything like that. However, we have facilitated thousands of contributions to open source projects, many of which are Steem based dapps and generated more than 1.3M USD in incentives, making Utopian the blockchain based platform with the biggest number of rewards delivered to open source solutions. However we didn't stop building, while maintaining our community alive and engaged and kept our support ongoing for so many projects. Now that we are just few months away from releasing Utopian Colony to everyone, we have decided to run an Indiegogo campaign, to finally get the attention I believe Utopian and our community deserves. It is not just about getting the funds, which definitely will help, it is about bringing Utopian to the masses. This will sound scary for many, but I am serious about this project and honestly I don't care of the SP we got and how much I can get away from this blockchain. I care about realizing our mission. I care about making a change for the better. That is what drives me and will always drive me. That's the reason why I am giving to Utopian the last chance to become the success we and our community deservers it to be and that chance is now. It is up to you to decide if you want Utopian to be the next-big-thing or one of the many dreams that will never become fully realized. 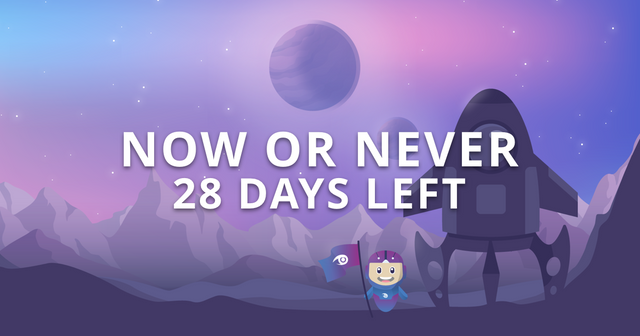 We still have 28 days before the campaign ends. Contribute to our Indiegogo campaign and tell your friends and colleagues. Help us spread the word and finally bring Utopian to everyone. Hopefully you are able to reach your goal Diego. This is the first thing I have ever backed. When will we see that Utopian sponsored STEEM Mobile App to be basically vessel Wallet but for Mobile? Can you please Support these guys so Utopian can have an impressive project in their portfolio? The parts that can swim won't sink. The crowd won't let them. Wish I could help with more than a resteem and sharing this on other platforms. Every small bit helps. Thanks @acidyo! @elear is amazing and dedicated to the Utopian vision. Utopian has provided so much for so many and has really enhanced the Steem ecosystem. Hopefully higher Crypto prices will help Utopian achieve its goals. Im glad you improved upon the perks but that is still too little im afraid. I didnt want to be overly critical right off the bat and i wanted to wait and see how this would turn out. It basically turned out as i expected. The problem you have is that the campaign was very poorly thought out. The marketing team did an extremely poor job of understanding what the targeted market segment for Utopian is, and when you dont understand who your target audience is then its clear that you will not understand how to attract their attention, what their needs are or how to get them to support the project. The thing is that no matter how amazing people might think Utopian is... the ecosystem is such that you cannot rely on "charity" for funding. Especially when the prices are so low. Ask yourself why SteemMonsters had such a successful crowdfund? Is the person giving us money getting something he perceives as having equal value in return and is there a demand for what wer offering. Then your campaign will fail. To end this off... Create a token and do what SteemHunt did. Shouldnt be hard to create a token economy for Utopian. Utopian is a superior project to SteemHunt and the only obstacle i see existing is if you decided to claim some kind of moral highground and not do a ICO, IEO. Thats really the only way for you to get a significant sum to fund your project. Hello @lordbutterfly and thanks for your feedback. As I have said elsewhere the Indiegogo campaign is more of a chance for Utopian to be known and to reach a wider audience as at the moment we are quite in the dark compared to other platforms that have a similar concept. We haven't opted for a token sale yet as we believe that is not really in line with what we are trying to achieve, not mentioning the legal costs we couldn't cover at this moment. I am happy the perks look better than before as lots of work went on them. These perks will have an equal value in return of the investment when the platform will gain enough traction, which is something we hope to achieve with the campaign. We haven't opted for a token sale yet as we believe that is not really in line with what we are trying to achieve, not mentioning the legal costs we couldn't cover at this moment. I would love if Utopian succeeds. It has everything set up for that already. I cant speak about the legal fees as i do not have sufficient information but i cant emphasize enough the necessity for a token economy on Utopian if Utopian wants to succeed. There is no escaping that. Being "shy" will not get you far and will only lead to STEEM losing a potentially huge project. Utopian can be for STEEM what BTT is for TRON. Maybe not on that scale but can have a similar impact on their respective chains. Just a bit more decisiveness is needed. Here's a comment that sets @utopian-io as 100% beneficiary...because well, I'm a tiny stakeholder and my one vote doesn't do anything. I will try my best and resteem but I wish to help more and more . But no too much STEEM POWER. how would the £26,551 you are after be spent. maybe a detailed breakdown might help you gather more fans? i know personally anything i've ever invested in i've always wanted to see how the money was spent. no worries. i think that will go a long way 'minimum budget we need to pay the expenses for the development efforts' is a little vague ya know? when it comes to fund raising and your not inside the echo chamber of using the platform people on the outside want to know more. hope it helps man, all the best, tweeted and resteemed. Sure. I'll make sure that is implemented. Thanks! What you've built here is really incredible. I hope you get the funds you need to keep going. Resteemed. Hi @elear , as Open Source and Utopian contributor I'd like to give my feedback. Utopian is a great concept but why should you spend money in ads? I would have preferred a partnership with Mozilla, Gnome, Kde, or an existing known Open Source entities. Why Indiegogo ? Many are in crypto to not use credit cards or banks.. Fundition ? Unfortunately these initiatives are not known to be very talkative. We have tried to get in touch and let them know but we are yet to receive a response. Because it is time to get people in crypto by giving them something they understand and can use. It is not just about getting as much funds as possible, but using Indiegogo as a marketing tool to get the word out. We are also running on Fundition, but as I said, that won't really produce the same exposure Indiegogo can produce outside of the crypto world. Utopian implements SBD for loading up bounties and we are working on the integrations of additional currencies to give our platform in the hands of as much people as possible. We go for a hybrid approach, that we believe is the best way to go for growing adoption. I spoke about this a bit on discord but got no response, but I am confused why the current reward system and the amount of money distributed was not mentioned at all (or at least I didn't see it anywhere). I feel this is the most unique and innovative feature of utopian, and from what the current description is on indiegogo, I feel I would have no idea what utopian even is if I hadn't have heard of it before. I know you have been talking about how this is more to help market utopian to a broader audience, so I find it odd that a lot on the description is about stuff only current users of the platform could understand (VIP, premium project, etc.). The description seems very vague for someone looking in from the outside. It just seems like most of the campaign is getting a premium version of this, or upgraded version of that. However, if this campaign is to attract external investors and users, I feel like describing what we actually have now and the normal non premium features will help more. This is just my observations, hopefully it can help as constructive criticism. I wish I knew more about the ecosystem surrounding cryptocurrency and open source, so that I could point you in the direction of the benefactors who would be most interested in backing this project. I am not sure if what you would need would be 30,000 donators or 3,000 wealthy ones, and can offer nothing but questions about how this is marketed and how your userbase might be found. Who does open source? How do they communicate? What funds them? What would entice them to donate? What business and marketing models can best capitalize that for Utopian? I wish I knew. New as I am to the project and the open source mission, I am excited by what y'all are doing. I wish you success! My little help to you is to resteem this post. Utopian SURELY and SHOULD keep going. 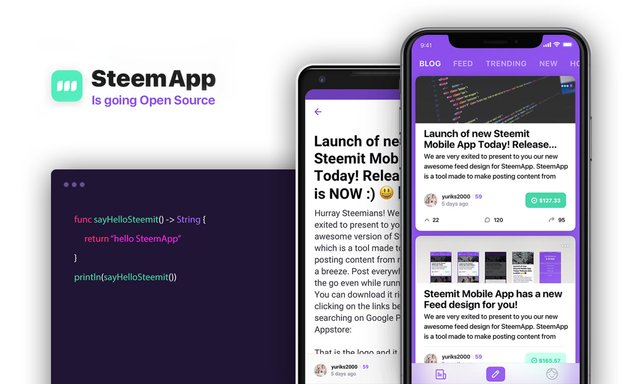 This is really one of the most valuable projects we have in the Steem blockchain. By the way, may I know how the backers who purchased the secret bundle will be set? Do they need to back it again? No absolutely. All the previous perks will be delivered as it was detailed in the offers, if the campaign reaches the minimum goal, otherwise Indiegogo will automatically refund them. btw, can we pay by STEEM or SBD as well? I Wish I could help with more , Hopefully you are able to reach your goal Diego. Looking at it from my own view, i believe your goal is already achieved. A nice post buddy! i will be joining the rallying cry by posting more of this review. You just got a 0.05% upvote from SteemPlus! sigue adelante tu propósito y causa es noble y justa se que serán muchos los que te apoyaran y se beneficiaran con esta tu iniciativa el señor te llene de bendiciones tu proyecto sigue así hermano la fe mueve montañas y los suños se hacen realidad. But seeing that you have achieved your goals is a very great thing. Wish I could support you in getting to your objective rather than just resteem And will continue sharing this on all other platform .. But seeing that you have achieved your goals is a very great thing.